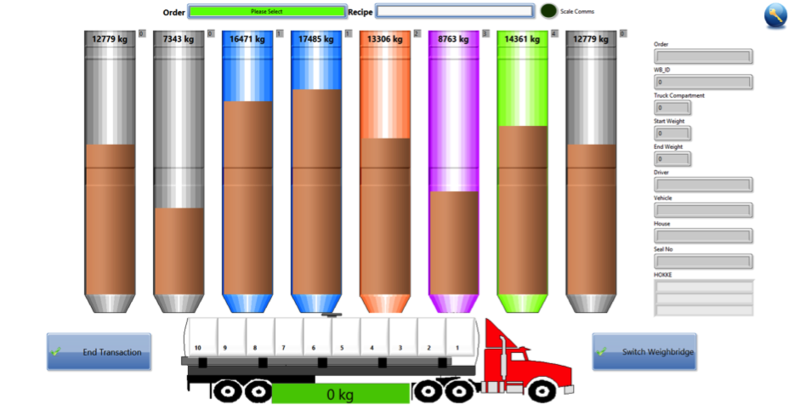 The outloading module integrates tightly into the batching & scheduling systems. It allows traceability and route selection all the way to the bulk outloading bins. Each outloading bin will contain the full info about the product inside the bin. Enjoy full control over the outloading process – the system can even prevent accidental outloading of the wrong finished goods. This is achieved by interfacing with the ordering system and weighbridge modules and knowing which product/s need to be outloaded into the truck. 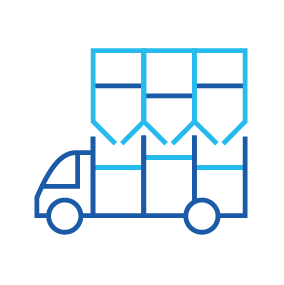 Outloading per compartment aids with better loading practices, creating a detailed waybill with product and weight info of each loading compartment.